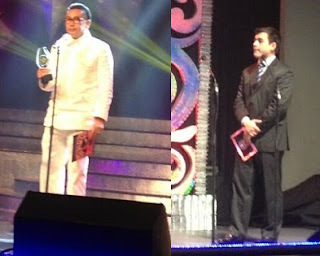 Home AGA MUHLACH ANGEL LOCSIN AWARDS AWARDS NIGHT CARLO AQUINO COCO MARTIN DINGDONG DANTES EL PRESIDENTE ER EJERCITO ISKO MORENO JANICE DE BELEN JOHN LLOYD CRUZ MOVIES PMPC STAR AWARDS POLITICS Star Awards for Movies 2013: Two "politician" winners! Star Awards for Movies 2013: Two "politician" winners! Star Awards for Movies 2013 winners were announced last night, March 10, 2013, by the Philippine Movie Press Club or PMPC and among the winners are 2 incumbent politicians who are seeking for re-election to their respective post in the upcoming 2013 Philippine Elections. Laguna Governor Jeorge Estregan Jr or more popularly known as ER Ejercito won as Movie Actress of the Year for his role as Emilio Aguinaldo in the MMFF 2012 entry "El Presidente", the 2nd consecutive year that he won the award from the PMPC Star Awards. Gov. ER won over multi-awarded veteran actor Eddie Garcia for his internationally-acclaimed role in "Bwakaw", the Philippines' entry to the 2013 Oscar Awards' Best Foreign Language Film category. Other nominees were John Lloyd Cruz (The Mistress), Dingdong Dantes (One More Try), Coco Martin (Sta. Niña), Aga Muhlach (Of All The Things) and Jericho Rosales (Alagwa). His film was also the night's biggest winner, taking home the most trophies (a total of 8 out of 11 nominations), including Best Picture, the award it failed to win at the controversial Metro Manila Film Festival 2012 last December, and the Best Original Theme Song award for a song which was interpreted by no less than Gov. ER's wife and incumbent Pagsanjan Mayor Maita Sanchez-Ejercito (she's also running for 2nd term this May). Another "politican" winner was Manila Vice Mayor Isko Moreno who was awarded "Darling of the Press". Isko, who was nabbed last month for hosting a bingo game, somehow amused everyone at the awards night when he opened his speech with this: "Sa letrang B..."
Both are seeking re-election this 2013 Philippine Elections: ER Ejercito is running for 2nd term as Laguna Governor, Isko Moreno for 3rd term as Manila Vice Mayor. If there were politician winners, actually there were also politicians or 2013 elections candidates who lost at last night's PMPC. 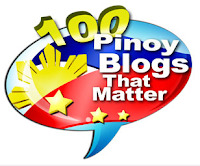 Aga Muhlach, who's running as CamSur Congressman, lost to ER as Best Actor and to Isko as Darling of the Press; Batangas Governor Vilma Santos, who's running for 3rd term, lost the Best Actress trophy to her son Luis Manzano's ex-girlfriend Angel Locsin, and Senator Ramon "Bong" Revilla Jr. who was also up for the Darling of the Press award.